Okay, not a very cheery title, but the fact that death is a bummer subject is the problem. The mere fact that people don’t want to discuss it prevents them from taking care of some of the financial responsibilities associated with dying. So, if have avoided the subject so far, and in particular if you rolled your eyes when you read that title, then this article is for you. Let’s lighten the mood a little. Chances are, you won’t die any time soon. In fact, though your remaining years decrease as you get older, your total life expectancy increases because you improved your odds by not dying young. So, when you are born, chances are you will live to be 78. If you are 20 years old, chances are you will live to be 79. At age 45, chances are you will live to be 80, and if you make it to 70 years old, chances are you will live to be 85. In other words, whether you are 20, 45, or 70, the odds are clearly on your side. However, financial management is not always about probabilities. Sometimes you have to hedge against the odds, especially when you are dealing with extreme levels of risk – and you’d have to agree that death is pretty extreme. So, for example, you probably wouldn’t get on an airplane which had a 10 percent chance of taking you down in a fatal crash. Even though there would be a 90 percent chance that you’d make it to your destination safely, the severity of that minority outcome would probably lead you to play it safe. Similarly, even if you are in good health and feel you have many years ahead of you, that is still no excuse for not preparing for the small chance that you are wrong. After all – this isn’t really about you; it’s about the people around you who would have to suffer the consequences of your early death. When you first start earning a decent income. This is the time to buy life insurance. 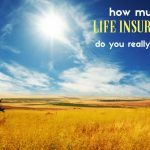 You may get to this stage when you are still quite young, but the nice thing about buying life insurance when you are young is that it is fairly cheap. 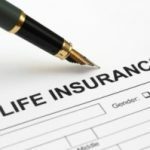 The life insurance companies know the odds are in your favor, so they won’t charge a 25-year-old nearly what they’ll charge a 50-year-old. The point is though, if you have anyone who is at all dependent upon you – wife, kids, parents you send money home to – then you need to provide a way to replace that income if you are gone. When you have kids. 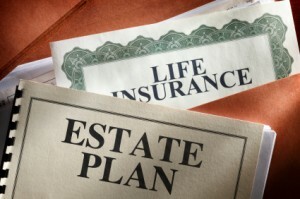 At this point, life insurance becomes a must, but also so does having a will. Even if you don’t have much property to bequeath, the most important thing is to make arrangements for how the kids will be cared for in your absence, especially if you and your spouse die suddenly at the same time. When your kids reach the age of majority. This is a good time to update your will, because as your kids grow up providing for them to be looked after becomes less of a priority than disposing of your property according to your wishes. Also, by this point you’ll be at an age when it would be a good time to make sure you have a health care proxy and living will in place, and decide whether one or more of your adult offspring should be given responsibilities under those documents. When you are in your 70s. This is the time to make contingency plans for your long-term care. Americans these days are often able to life healthy, active lives well into their 70s, but at some point you need to face the reality that your mental and/or physical capacities might become seriously diminished. Don’t wait until the necessity arises to look into living arrangements and financing – at that point, your decision-making might not be as sharp, plus the most attractive living facilities often have long waiting lists. As much as you may not want to acknowledge the possibility of dying, the above represent responsibilities you have to the people around you, and in the scheme of things they don’t take a huge amount of time nor effort. There’s also one other potential benefit. Have you ever gotten the feeling that if you bring an umbrella with you, it seems to guarantee that you won’t need it? Well, maybe being prepared in case of an untimely death works the same way. I can’t say I agree with buying life insurance when you don’t have any dependents regardless of price. The fact is: The price of life insurance is calculated as follows [Future Payout] + [Internal Expenses] + [Profit]. Assuming every insurance product is equally as profitable I do not want to pay the expenses and profit components when I don’t have to. Although the subject is a tad depressing, I agree with Richard that planning is still a necessity. It may not be pleasant to think about, but it is important to have a plan in place so your family is taken care of. Good article. I enjoyed this article very much. I believe people should learn to and to think of the future – as in long term. I run into people, especially parents, who teach their children only to think about today, tommorrow and maybe next week. Every day, month and year after that is basically left up to pure luck. That’s wrong. And yes, if you care about your significant other and your children, even your grand children – you should prepare for that unavoidable day – your demise. In addition to the items listed in the article, another important thing to do at any age, is that if you are the main person who handles the finances, your survivors can unwind things on your demise. It includes the location of important documents such as birth certificates, SSA cards, marriage license, trust documents, wills, powers of attorney, etc. I also describe my filing system, where to find physical files, and electronic files that will help them continue if I’m no longer around. Also, some advice on where to chuck my corpse once I’m done with it. finally, I go over this stuff with my wife about annually, just to there is some level of awareness that I’m leaving tools to help them out.